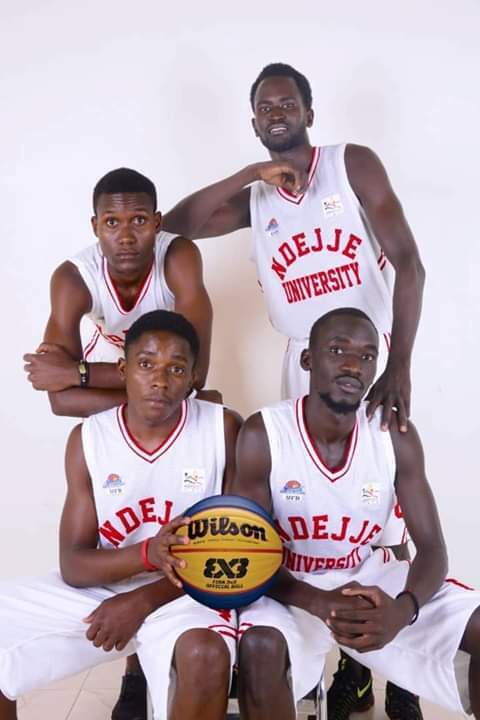 KAMPALA – Ndejje University will participate in the 3×3 FISU World University League Finals in Xiamen, China from November 15 to 18, 2018. This year’s edition will be contested by teams from Oceania, Asia, Americas, Africa and Europe. Ndejje University champions of Africa, the fit they achieved this year in Mekelle Ethiopia when they defeated Senegal in the finals. The Team was flagged off on Friday at Sheraton Hotel at a dinner organized by Uganda Tourism Board (UTB). Mr. Samora Semakula, the Quality Assurance manager of UTB was glad that his Organization was partnering with Ndejje University because China is an emerging market for tourists. The dignitaries that graced the occasion included; Ndejje University VC, DOS, ASST AR and SPRO. AUUS was represented by their President Madam Peninnah Kabenge. UTB sponsorship included Truck Suits, Kit Bags, full set of Jersey and ceremonial T-shirts promoting Uganda in China. Ndejje University Team includes; Innocent Ochera Oyoo, Samuel Ajak Garang, Salim Kisilu, Jean Gauthier Basheka Baderha and Obedi Walker Head of Delegation. Ndejje will play in Pool B alongside, Faculty of Technology of Alagoas (Brazil), Payame Noor University (Iran) and University of Auckland (New Zealand). The 32 competing teams – 16 each in the men’s and women’s fields – have earned the honor of representing their continents after coming through tough continental qualifiers held in Oceania, Asia, Americas, Africa and Europe. The field also includes the 2 host teams from China – Huaqiao University and Peking University – as well as the men’s and women’s defending champions Mon-Altus Physical Education Institute of Mongolia and Chinese Culture University of Taipei, respectively.